Today, you have the power to make the Warhammer hobby better than ever! 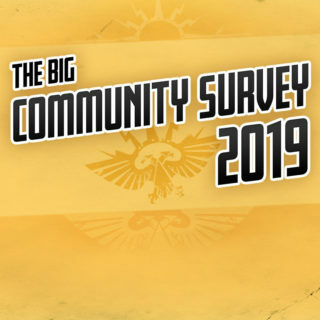 The post Big Community Survey 2019 appeared first on Warhammer Community. Het was idd een flinke survey. Suggestions: Brink back Tomb Kings! Na de vorige survey zijn ze met Sisters begonnen, kom maar op met de Tomb Kings. Phoenix schreef: Suggestions: Brink back Tomb Kings!